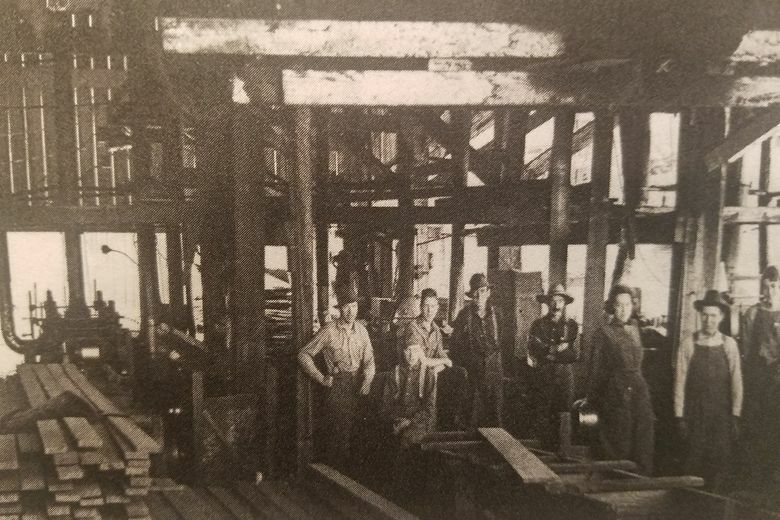 In the 1890s Issaquah Lumber was part of the Monohan Mill which operated on Lake Sammamish. Issaquah Lumber became Issaquah Cedar & Lumber in the 1950s and moved to its current location in Issaquah. During the past 25 years, Seattle has become one of the country’s fastest-growing cities, in large part due to booming homegrown industry giants including Amazon, Microsoft and Starbucks. But the success of the area is also shaped by some long-standing small businesses that have been around for a century. Here are just a few. Bartell Drugs’ roots in the Pacific Northwest began in 1890, when an ambitious 21-year-old pharmacist from Kansas, George H. Bartell, purchased the Lake Washington Pharmacy in Seattle’s Central District. Four generations later, Bartell Drugs is still a family-run business. There are now more than 65 locations in neighborhoods throughout the Puget Sound region. When Sam Silverman opened a tiny jewelry store in Seattle in 1912, little did he know that it would grow into a business with more than 70 stores in 11 states nationwide. Ben Bridge became a partner in the store in 1922, and then acquired full ownership in 1927. His family ran the company until 2000, when Warren Buffett’s Berkshire Hathaway corporation took over the reins. Darigold was founded in 1918, by five Puget Sound cooperatives from United Dairymen’s Association. A contest was held in 1925 among the employees and their families, which resulted in the brand name with is still synonymous with dairy products in the Pacific Northwest: Darigold. Today, nearly 500 dairy farmers in Washington, Idaho, Oregon and Montana belong to this cooperative. Darigold processes and distributes a full line of dairy products to national and international markets. Born in 1850, C. C. Filson inherited his father’s pioneer spirit and love of the outdoors. After homesteading in Nebraska and a stint as a railroad conductor, he moved to the new frontier of Seattle, Washington in the 1890s. In 1897, Filson opened C.C. Filson’s Pioneer Alaska Clothing and Blanket Manufacturers, specializing in goods to outfit the stampeders to the Klondike Gold Rush. His timing was impeccable. By 1897, the Great Klondike Gold Rush was on, and thousands of fortune hunters were stampeding into Seattle, headed north. Today, Filson continues to manufacture clothing as rugged as the pioneer spirit. In the 1890s Issaquah Lumber was part of the Monohan Mill which operated on Lake Sammamish. After a disastrous 1925 fire ravaged the first mill and the town of Monohan, a smaller mill was built along the shores of Lake Sammamish. Another fire destroyed the mill a second time in 1944. Continuing to run as a mill, Issaquah Lumber became Issaquah Cedar & Lumber in the 1950s and moved to its current location in Issaquah. An interesting side note: the planer at the mill site on Lake Sammamish was saved in the fire and brought to the current location in Issaquah where it was in operation until last year! Issaquah Cedar & Lumber has an active mill on site and stocks specialty materials for both retail and wholesale customers’ interior and exterior building projects. This family-owned business’ ledgers date back to 1906. The company has literally shaped the city it calls home, having installed most of the showcases at the famous Pike Place Market. You’ll still find the Perkins family manning the store on Broadway between Pike and Union, a historic location of a small business that’s a true reflection of Seattle’s history. Founded by three Seattle women, Three Girls Bakery has been a Pike Place Market institution since 1912. Back then, a woman named “Mrs. Jones” applied to get a business license and listed her partners as “two friends.” They sold two loaves of bread for 15 cents, and delivered with a horse-drawn carriage. Today, locals and tourists alike flock to the big window packed with gooey goodies in the market for sandwiches and treats. In 1890, the Taylor family began farming Olympia oysters in the waters of Totten Inlet, at the southern end of Puget Sound. Today the company is led by Bill and Paul Taylor and their brother-in-law Jeff Pearson. They have grown the company to more than 500 employees. The product line now includes a variety of Pacific Northwest seafood favorites including: geoduck, mussels and a variety of half-shell oysters. Issaquah Cedar and Lumber has been in business for over 120 years. Specializing in more than Western red cedar, we supply the Puget Sound area with the highest-quality lumber products including siding, fencing, decking, timbers and custom-milled materials.